With our help, having hardwood flooring installed in your Barrie, ON home is an affordable process. You may love the look of hardwood flooring, but have hesitations about having it installed in your home because of its cost. If you find yourself in a similar situation, turn to us at Giant Carpet Flooring Centre. Not only is our selection of hardwood flooring in Barrie, Ontario competitively priced, but our installation rates are also affordable. If you make the decision to put hardwood flooring in your home, one of our flooring professionals can come to your home and provide you with a free in-home consultation. 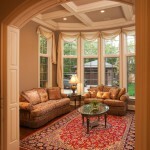 During this consultation, we will discuss what options are available to you and provide you with a quote on installation. Then, you can schedule a time for us to come back and install your new floors, all without ever leaving the comfort of your home. At Giant Carpet Flooring Centre, we want to make shopping for and having new flooring installed in your home as easy as possible. Since we value quality workmanship, we are confident that you will be pleased with the way your new wood floors look and function for many years to come. We also think you will be happy with the way your hardwood flooring adds value to your home. 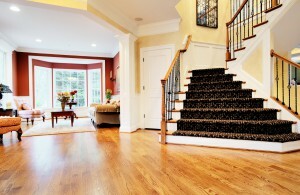 Don’t wait any longer; let us help you enhance the aesthetics of your home’s interior with new hardwood floors. If you have any questions about the types of wood flooring we have to offer or our installation process, give us a call at Giant Carpet Flooring Centre. At Giant Carpet Flooring Centre, we offer high-quality hardwood flooring to residents of Barrie, Alliston, Angus, Newmarket, Cookstown, Innisfil, Bradford, Midland, Wasaga Beach, Collingwood, Muskoka, Gravenhurst, Bracebridge, Orillia, Thornton, Everett, and all of Simcoe County, Ontario.